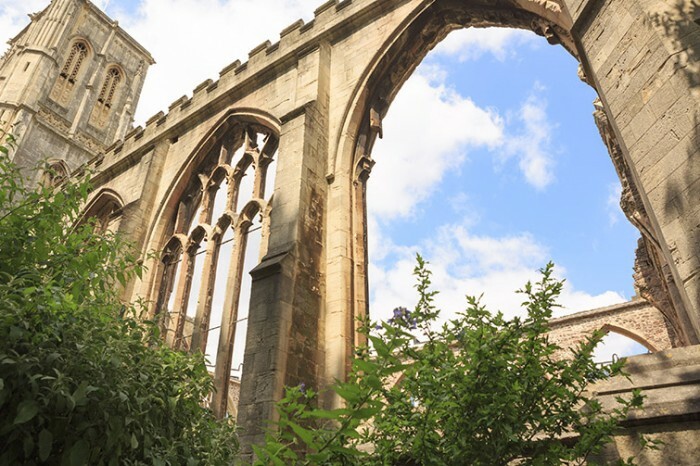 Bristol has long been associated with its rich and diverse music scene; while no Anglophile of a literary persuasion could fail to identify Bath as the home of Jane Austen, as well as some of the most exemplary Georgian architecture to be found anywhere in the UK. Now a three-day “Art Weekender” is set to retrain the focus of both cities on the visual arts and allow visitors and residents to see their metropolises through fresh eyes. Fifty artists and arts organisations will come together to bring the south-west exhibitions, performances and new commissions, from the luminary likes of sculptor Richard Long (exhibiting at the Arnolfini Gallery, Bristol) to the American artist, Theaster Gates, whose Sanctum project, pictured here, is set within and rises up from the bombed out Temple Church in Bristol thus, like many of the works, making full use of its site-specific environment and allowing viewers to see familiar sights in a new light. The south-west never looked so good.